The Impact of the Affordable Care Act on Latinos - Paola Bailey, Psy.D. 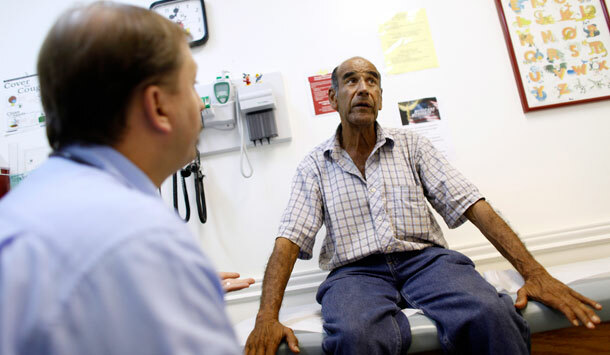 5.4 million Latinos who would otherwise be uninsured will gain coverage by 2016. 763,000 Latino young adults (ages 19-25) will now be covered by their parents’ employer-sponsored or individually purchased health insurance. Over 6 million Latinos will now have access to preventive services with no cost-sharing (i.e., deductible, co-payment, etc.). 3.9 million elderly and disabled Latinos who receive health coverage from Medicare will now have access to an expanded list of preventive services with no cost-sharing. These benefits will include an annual wellness visit with a personalized prevention plan, as well as access to other important screenings, including those for colorectal and breast cancer, obesity, and osteoporosis. Provide lower-cost health care options, the very reason that caused 32% of Hispanics to be uninsured to begin with. Provide viable options to purchase affordable plans to the 2.3 million Hispanics who are self-employed and would otherwise be unable to afford private policies for their small business. Increase funding available to the more than 1,100 community health centers, which is important for the Hispanic community, as research suggests that 35% of the population served by these centers is Hispanic. Make oral contraceptives more accessible to Latinas by eliminating cost-sharing. This will not only reduce unwanted pregnancies, but will also help manage the other non-pregnancy conditions treated by birth control, like polycystic ovarian syndrome, a condition that affects 13% of all Latinas. Eliminate pre-existing condition clauses, which will provide 6.1 million Latinos with pre-existing conditions access to the health care they need, including the half of all Latino children who are currently at risk for developing diabetes. The ACA also invests in data collection to enable research on health and health care disparities to help the government better understand the causes of such disparities and to develop effective programs to eliminate them. By taking a glance at these numbers, it seems clear why the majority of Hispanics (66%) support this law. But it is important to remember that this law could also have a positive effect for the non-Hispanics among us. When fully implemented, the law will provide access to coverage for an estimated 32 million Americans who are now uninsured, which may very well include you or your loved ones.